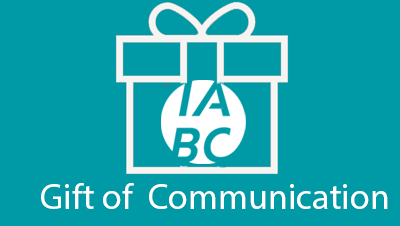 IABC/San Diego is hosting a Gift of Communication event, giving IABC members the opportunity to help non-profit organizations to solve their communication challenges. During a two-hour session, members will be paired with representatives from local non-profits to listen to and discuss their issues and questions in order to provide meaningful communications advice and support. Each group will then share the results of its discussion so that everyone benefits from their ideas and strategies. The Chicano Federation is one of San Diego’s leading social service agencies providing child education, health and nutrition, and housing programs to more than 8,000 San Diegans annually. Its mission is to provide empowering opportunities for our diverse community. San Diego Youth Services has helped to improve the lives of more than 700,000 homeless, runaway, abused and at-risk youth and their families. Its mission is to help at-risk youth and their families become self-sufficient and reach their highest potential. Knowing the emptiness that losing a mother can leave in a daughter’s heart, the founders of Chula’s Mission have created a supportive place for young motherless girls. The non-profit offers unique and dynamic grief counseling, with the mission of mentoring and nurturing young motherless girls. WHSR is a nonprofit organization that provides safe, affordable housing and support services for students attending San Diego State University. Its mission is to assist students of Wesley House in their academic goals by providing a safe place to live and study. Associated Builders and Contractors is a national trade association recognized as one of the leading organizations representing America’s business community and the construction industry. In 2005, Fortune magazine rated ABC as one of the “most influential” organizations in the United States. The San Diego Master Chorale (SDMC) is the region’s premier choral ensemble, showcasing approximately 100 of San Diego’s finest singers (who are all unpaid volunteers). Its mission is to promote and preserve the art of choral music through performance, education, and diverse community outreach. Don’t miss this chance opportunity to make a difference in our community while demonstrating how communicators add value to any enterprise! Thank you to the United Way of San Diego County for providing the venue for our event.